One-of-a-kind home situated in the charming village of Mervent in the Mervent/Vouvant Forest. Very private fenced property and garden. 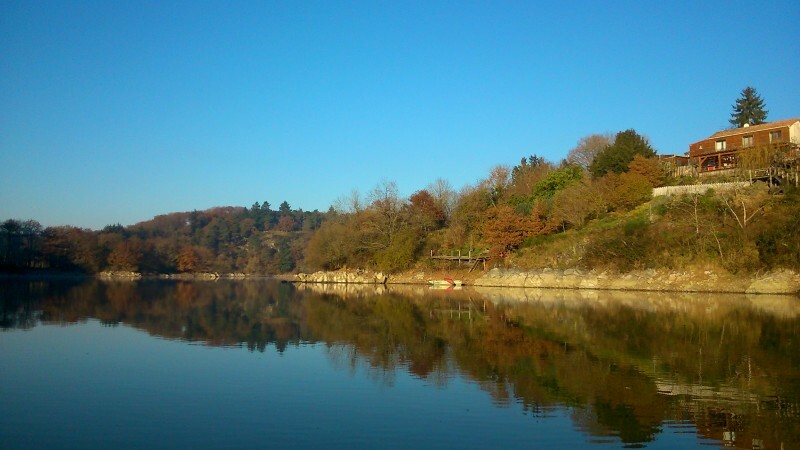 Gorgeous views overlooking the River Vendee and pristine forest. 3 bedrooms, 3 bathrooms, 2 separate living areas that could be used as gite rentals for vacationers. Very solid construction. Renovations and addition completed in 2014. 2 large decks on the lower level and a balcony and patio on the upper level all overlooking the water. Easy water access and boat launch. A fisherman's paradise! Walking distance to village grocery, post office, town hall, and elementary school in this friendly and peaceful commune. Very well maintained hiking and cycling trails throughout the forest. Must see!